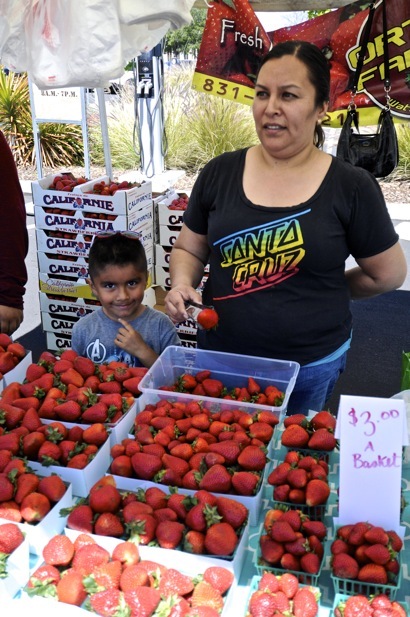 The Facebook Farmers Market opened its second season today with the kick off theme of Earth Day. 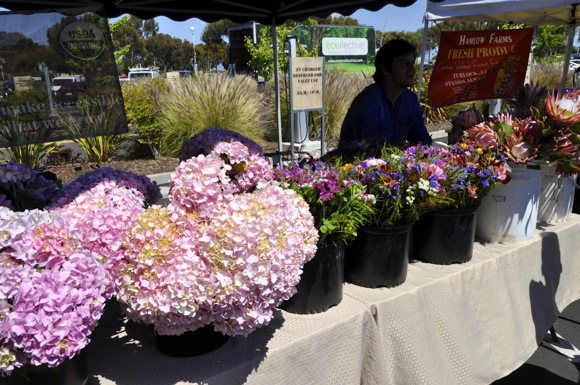 The market will be held on Saturdays from 2:00 to 5:00 pm through December 3rd. 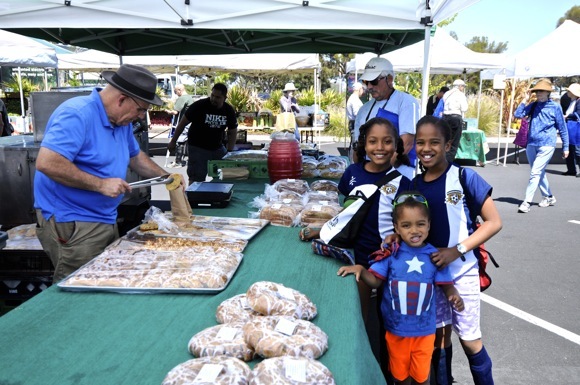 The Earth Day market featured both agricultural vendors selling flowers, meat and produce and non-agricultural vendors offering products such as bread, pastries, coffee, pasta, pies, smoked fish, jerky, wine and hand-crafted items. The San Mateo Master’s Gardener group was giving away free tomato plants. In addition, there were around 15 entities there for the Earth Day theme, including city and country representatives and a variety of ecological-related organizations. Bases on vendor availability, Alex said the market could eventually become a year-round endeavor.